Brandon Copley, a mobile developer in Dallas, Texas, collected a database of 2.5 million Facebook users’ phone numbers exclusively using the site’s Graph Search function to prove a point to Facebook. He was slapped with a cease-and-desist order from Facebook for his efforts. 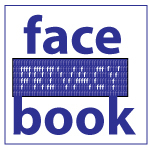 On March 5, Copley reported a tip to Facebook pointing out the security flaw in Graph Search. Facebook wrote him back acknowledging the problem, though they said that all they can do to remedy it is to encourage users to strengthen their security settings. He gathered the massive database of numbers as a response to them, using API tokens to perform millions of searches for phone numbers. His account was then banned several times in March and April, and Facebook’s lawyers soon contacted him and demanded that turn over all the information he had gathered, as well as his methods. Facebook hasn’t revealed yet if it will pursue litigation against Copley; since all of the information he found was public, they would likely have a tough time forming a case. Even though Copley’s exposure of this issue is troubling, it can hopefully lead to a change for the better in Graph Search’s privacy settings.